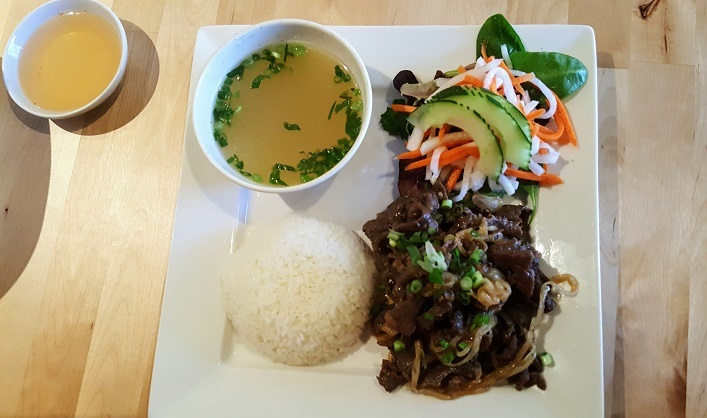 Pho Pho Serves up Phenomenal Vietnamese in Birmingham's 5pts South! 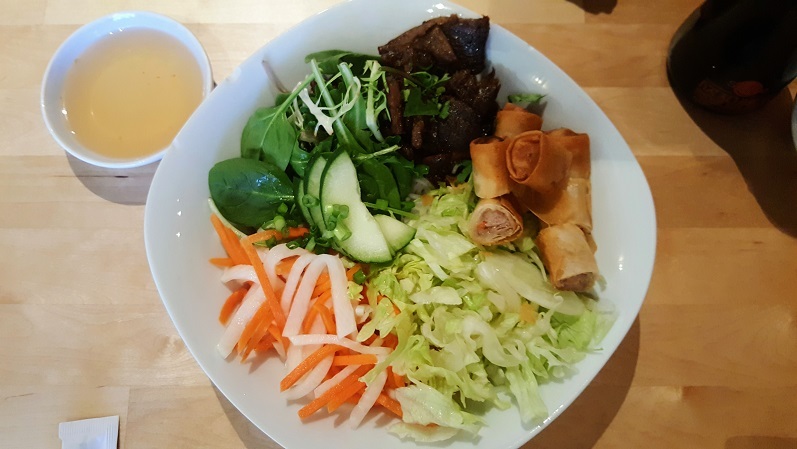 Pho Pho Serves up Pho-nomenal Vietnamese in Birmingham's 5pts South! 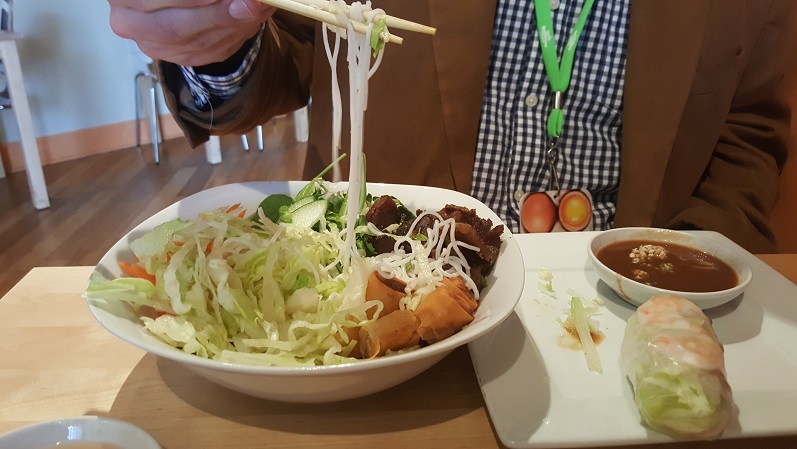 If you are looking for some flavorful Vietnamese food you should stop by Pho Pho and try one of the MANY authentic dishes they serve up! 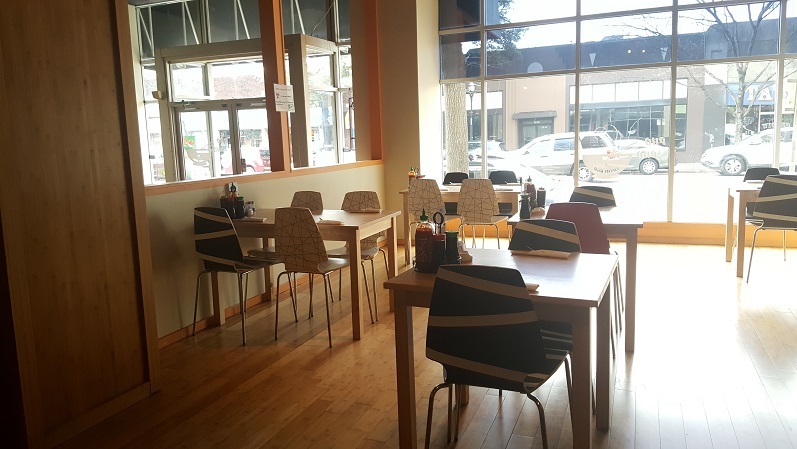 Located in the heart of Five Points South, this location has gone through various names and owners over the years, but we are so happy that Pho Pho has moved into this spot! The sunny interior is perfect for a weekday lunch hour and they validate all but $1 if you park in the public parking deck! Anyone who has ever tried to park in 5pts knows what a big plus this is. 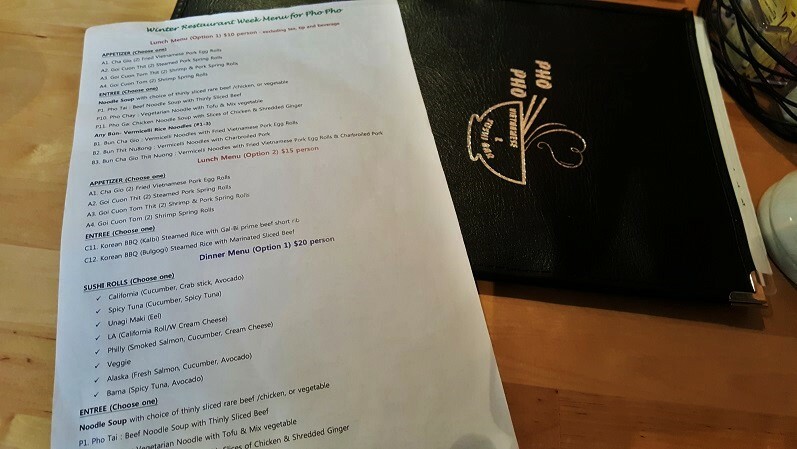 We stopped by for #WRW2017 lunch (they have both $10 and $15 options) and were impressed with the compelling menu selection. We wanted to try everything! 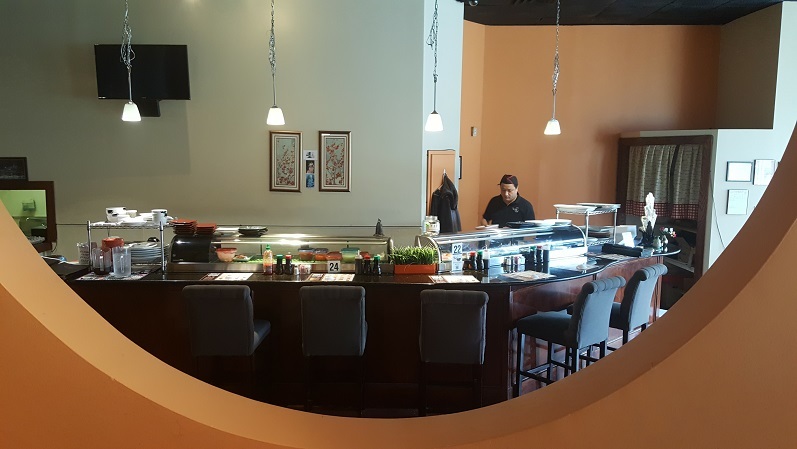 They also have an expansive sushi bar that we will have to try soon. After debating over the menu we were finally ready to order. Both Restaurant Week menu options allow you to select an appetizer and an entrée. We opted for two different types of spring rolls. Both the Goi Cuon Thit and Goi Cuon Tom Thit were great choices! The Goi Cuon Thit is a steamed spring roll stuffed with warm sliced pork, rice noodles, and some veggies. 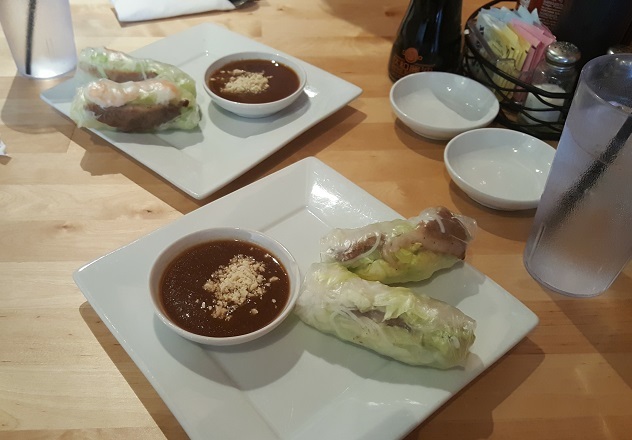 You get two rolls per order and they are accompanied by a rich peanut sauce that probably tastes good on anything! 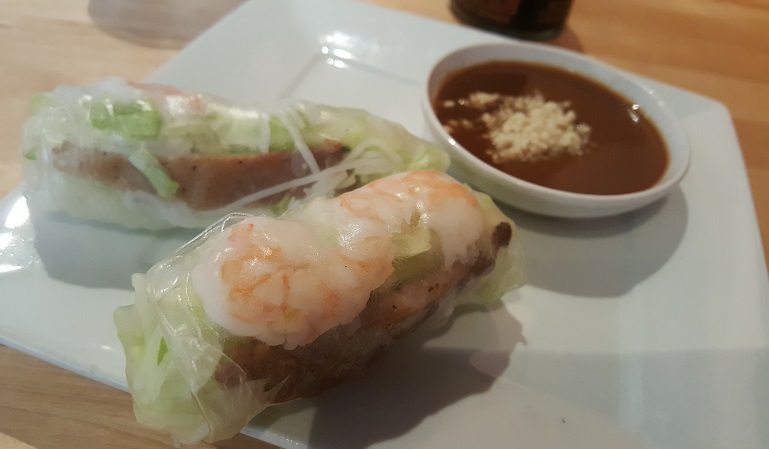 The Goi Cuon Tom Thit is the same roll, but with thick shrimp added in! We recommend this roll since it includes BOTH the pork and shrimp. It is the best of both worlds! Our main dish came out while we were still working on the spring rolls. This is great if you are on a tight lunch break. They definitely respect your lunch hour. 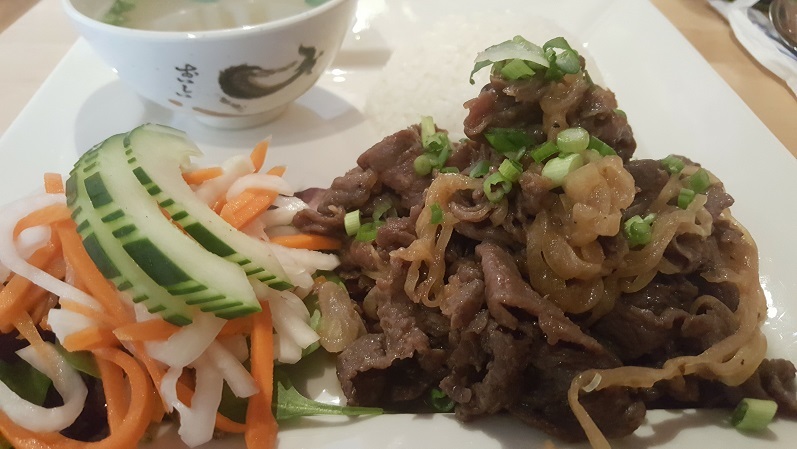 The first dish we tried was Bulgogi, marinated Korean BBQ beef sliced thin and served with white rice. It is also served with a cup of hot soup and picked sliced veggies that have the perfect amount of vinegar flavoring! As soon as it was placed in front of us, this dish had our mouths watering! The hardest part of blogging for #WRW2017 is having to take photos when all you want to do is dig right in. It's like the food is taunting you. It was well worth the wait though! Every bite is bursting with flavor. This dish can be easily eaten with chopsticks (for those of us that are on the chopstick struggle bus). 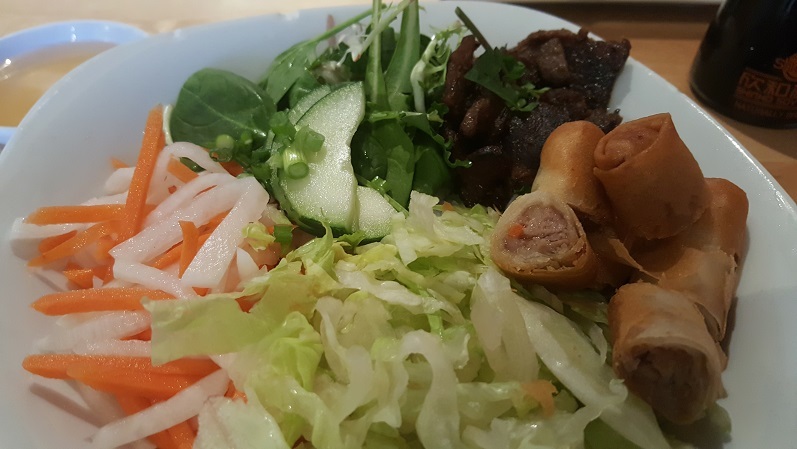 The second dish we tried was Bun Cha Gio Thit Nuong. This is made with vermicelli noodles served with fried Vietnamese pork egg rolls & charbroiled pork along with a side of fish sauce! That's right! There are chopped up egg rolls on this dish! To say this dish looked beautiful is an understatement. After taking our photos we started taking the dish apart. The noodles were hiding under the egg rolls, charbroiled pork, and greens. Everything about this dish was great! There were so many flavor combinations in each bite. We can't say enough about the flavor of the pork on this dish and the beef on the other. All the meat we had was marinated, seasoned, and cooked to perfection! Overall, we were thrilled with our service, food quality, and the atmosphere. Pho Pho provided the perfect dining experience for our lunch. With the new Homewood Inn & Suites opening up across the street soon, we are excited that visitors to Birmingham will be able to walk across the street and try some top-notch Vietnamese cuisine! We know that we will definitely make another trip to Pho Pho soon! Title updated to include "Pho-nomenal" pun courtesy of Shane Autrey, a loyal FB follower.